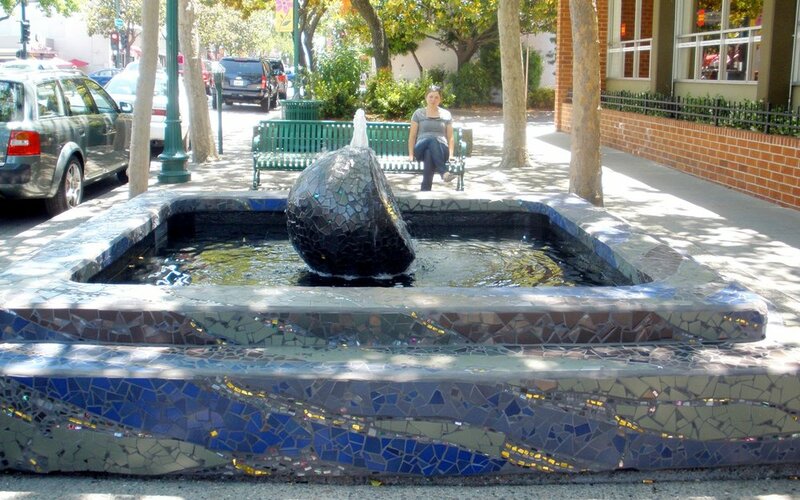 The City of Walnut Creek engaged Chandra Cerrito / Art Advisors to manage the city’s first public art project financed by their In-Lieu Public Art Fund. City Council identified two 1970’s era fountains on North Main Street in the city’s downtown as sites that could be transformed with public art. Working with the city’s art staff and public works representatives, CC/AA developed an RFQ and assisted in creating an art selection committee that included downtown business leaders, regional public art experts, Arts Commissioners, City Council members and the Mayor. CC/AA helped identify a short list of potential artists, solicited, received and organized artist submissions, and led the selection process to identify finalists. After artist Seyed Alavi and artist team Wowhaus were selected, CC/AA led the conceptual design development process, helped present proposed artworks to the Arts Commission for approval, and assisted in coordination among the artists and the city throughout fabrication, delivery and installation. Resulting artworks revived the overlooked water features and activated this important pedestrian corridor. Geologica, created by artist team Wowhaus, was inspired by tracing water to its elemental source: the earth itself. Beautifully re-surfacing the existing fountain surround, a hand-cut tile mosaic references the earth’s geological strata. Water flows over a central rock-like sculpture that hovers just above the pool. This spherical form is sliced to reveal a shimmering geode-like pattern. Seyed Alavi’s Fountain Head was inspired by the origin of the word fountain and the wide-ranging associations of fontanel, from the birth of the Greek goddess Athena who sprouted from the head of Zeus, to the center of wisdom and intuitive knowledge. In Alavi’s sculpture, a giant head with a serene expression and water spouting out its crown emerges incredibly out of the shallow pool, creating a sense of surprise, contemplation, humor and wonder all at once.